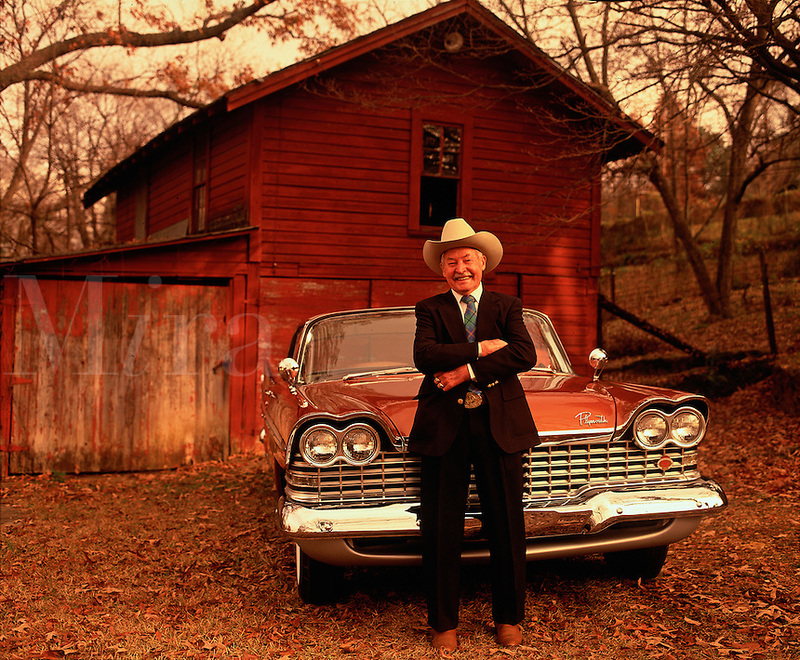 Portrait of older man with cowboy hat on leaning on a Plymouth in front of a red barn. Elderly. Alabama USA.